The recent figures that revealed the downward trend of the ship traffic at Nigerian seaports are a further revelation of the huge challenges that have bedeviled the operations at Nigerian seaports. Indeed, the stakeholders in the maritime sector have bemoaned the huge infrastructure deficit, poor government policies and high cost of doing business at the ports. 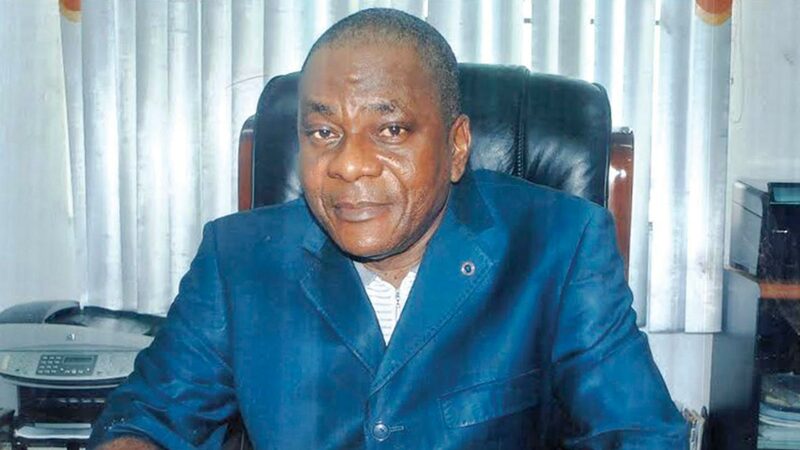 The President of National Council of Managing Directors of Customs Licensed Agents, (NCMDCLA), Lucky Amiwero, in a chart with The Guradian, said figures in the recent report by Nigerian Bureau of Statistics (NBS) are not surprising going by the current situation at seaports across the country. NBS, in its Nigerian Ports Statistics 2012-2017 released had stated that ship traffic at the ports recorded a total of 4,175 ocean going vessels in 2017 as against 4,622 in 2016. Also, the Gross Registered Tonnage (GRT) followed the downward trend with 131,569,821 in 2017 as against 134,2,13,076 recorded in 2016. Amiwero said the policies of government are not encouraging and the ports have been so difficult to access. “It is the most expensive port. This is not how a port should look. You can’t believe that sometimes it takes an average of one month to go into the ports to load cargoes. Accessing the port is a nightmare. Many people have lost their lives on the roads because of its deplorable state. Also, the port operating system is very expensive. Our draft level is zero compared to our neighbouring countries. So, nobody will like to come in and pay huge amount on transportation, whereby you can pay lesser through the border when you import through neighbouring countries and you will not also go through the rigorous process. “As long as we continue to be non-compliance to the global standards, we will continue to lose patronage. The ports need total overhaul. Government authorities is a disaster in Nigeria. People that are still coming to the port were patriotic, we have to commend them,” he said. Amiwero, who is also the Managing Director of Eyis resources, berated the Nigerian Ports Authority (NPA) for failing in its responsibility of maintain the port access roads. “NPA is collecting seven per cent of ports development levy, they should use three per cent of the levy to maintain the roads. The NPA law says they have to maintain and manage the roads. They cannot keep sending all monies to government, they are not revenue collectors, they need to develop the ports,” he said. A notable clearing agent, Kayode Farinto, said the port charges is ridiculously high and it is killing the industries, hence the diversion of cargoes. He said for the nation to tackle the arbitrary increase in prices by terminal operators, there is need for urgent review of the concession agreement. The Managing Director, Nigerian Ports Authority (NPA), Hadiza Bala Usman, assured that the Authority is working hard to create a level playing ground for all operators, urging stakeholders that all hands must be on deck to improve port efficiency and competitiveness. NBS statistics had revealed a total of 71,903,266 cargo traffic recorded at all ports in 2017 as against 70,819,092 in 2016. According to the report, about 43,019,889 of the cargo traffic came as inwards while 28,883,377 were outward. A total of 181,404 vehicle traffic was recorded in 2017 at all the ports as against 105,189 and 131,994 vehicle traffic in 2016 and 2015. Classification of data, according to the seaports, revealed that the Calabar Port complex has really suffered from the shallow water level due to controversies surrounding the dredging of the channel. NBS revealed that the cargo throughput in 2017 was highest at Onne Port with 25,836,246 (while inward was 1,947,347, outward was 23,888,899); followed by Apapa Port with 18,909,238 (inward was 17,523,313, while outward was 1,385,925); TinCan Island Port was third with 15,520,925 (inward was 14,623 and outward was 1,385,925). Delta had 6,015,333 (inward was 4,514,481and outward was 1,500,852); Rivers recorded 3,462,425 (inward was 2,332 and outward was 1,129,458) and Calabar came last with a paltry 2,159,099 (inward was 2,078,542 and outward was 80,557). The number of passenger traffic at the Calabar Port within the period under review was put at 6,704 in 2017 as against 7,442 in 2016. Ship traffic record of ocean going vessels in the five-year analysis showed a downward slope from 4,837 in 2012 to 4,175 in 2017. The GRT increased from 120,818,683 in 2012 to 131,569,821 in 2017. The Calabar Port, which is one of the Eastern ports, has remained dormant for years thus forcing importers and exporters to risk the deplorable roads and go to Onne or Lagos.